The tutorial contains examples for both: standard tool use and Python use. You don’t need to know Python to follow this tutorial. The example data used are IBRD Balance Sheet taken from The World Bank. Backend used for the examples is sql.browser. Create a tutorial directory and download IBRD_Balance_Sheet__FY2010.csv. Cubes comes with tutorial helper methods in cubes.tutorial. It is advised not to use them in production; they are provided just to simplify the tutorial. 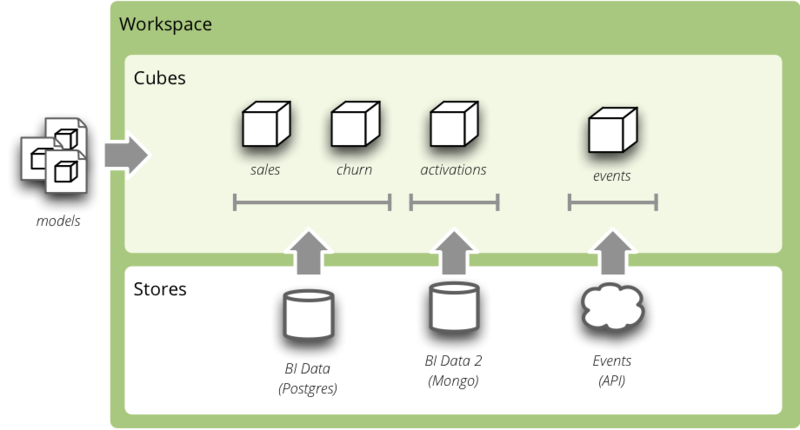 Everything in Cubes happens in an analytical workspace . It contains cubes, maintains connections to the data stores (with cube data), provides connection to external cubes and more. Download the tutorial model and save it as tutorial_model.json. For more information about how to add more models to the workspace see the configuration documentation. You might call import_model() with as many models as you need. Only limitation is that the public cubes and public dimensions should have unique names. Compute the aggregate. Measure fields of AggregationResult have aggregation suffix. Also a total record count within the cell is included as record_count.